Slipping into a waterproof jumpsuit, Jacek Plewa gingerly steps into the calf-high water of the aqua kale tank. Floating all around him are thick sheets of thermocol punched with holes housing small cups in which grow one of the most nutritious plants on the planet – kale. Gently pinching a few leaves from a plant, he hands them to me. ‘Go on, you can eat it,’ he tempts. I’m a tad apprehensive. ‘Watch me,’ he says, stuffing a few leaves into his mouth and chewing with a hint of exaggerated relish. I examine the leaves, and when he is not looking, wipe them on my jeans before chewing them. The taste is, erm, a bit like spinach with a hint of bitterness. ‘Green’ and ‘earthy’ come to mind. Since I’ve not tasted this before, I guess this is what really healthy stuff would taste like. That kale is a mega superfood is well known. But I was gobsmacked to learn its nutrition profile: 100g of uncooked leaves equals just 33 calories (compare this with an average chicken burger that contains 250 calories). That’s not all. A 100g portion will give you 700 per cent of your daily requirement of vitamin K (excellent for bone health), more than 130 per cent of vitamin C (to boost your immune system), and 200 per cent of vitamin A (a powerful antioxidant). So you need to eat it just a few times a week to get your required dose of nutrients. The kale raised here is processed and frozen, and is available in single portion sizes for ease of use. ‘This product – frozen aqua kale – won the award for best fruit and vegetable innovation at Gulfood 2017, the world’s largest food industry exhibition, in Dubai,’ says Jacek proudly. 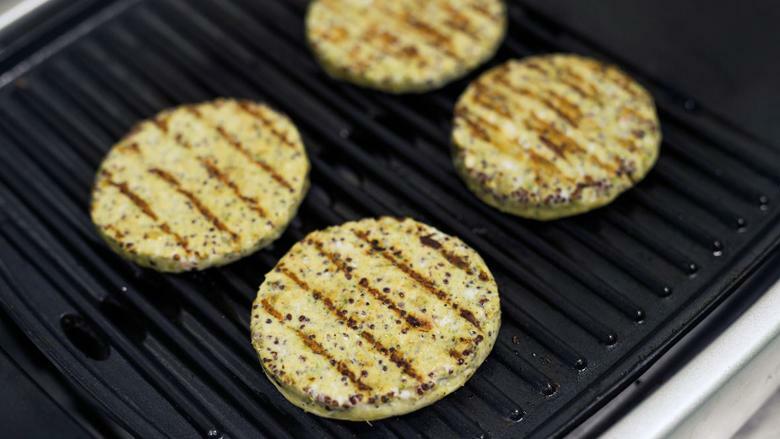 Extending the product line, the company has started manufacturing kale chicken burgers. Seated in a small office at the aquaponic kale farm deep in Dhaid, I can hear kale-chicken patties sizzling on a grill in the adjoining room. ‘Raising kale, or any leafy vegetable for that matter, in an aquaponics farm is no easy task,’ says Madan Raju, farm manager at GFI. The soilless system of crop raising, aquaponics, he says, is in simple terms the integration of aquaculture and hydroponics. To give us an idea of how it all works, Jacekk and Madan lead us to the starting point of the farming process – the fish tanks. 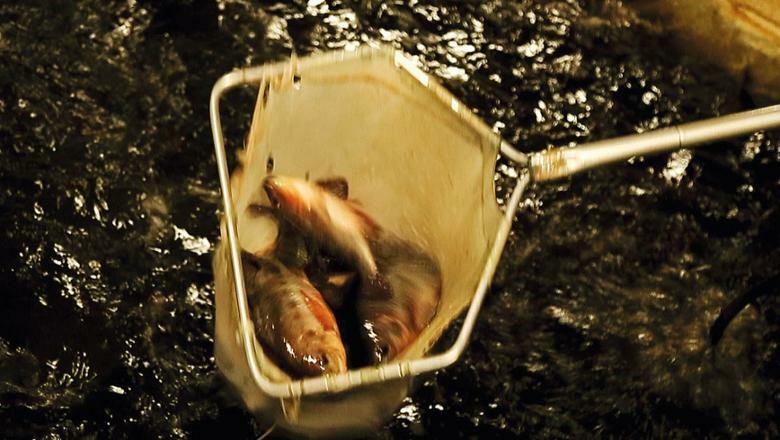 Under controlled water and temperature conditions, fish – mainly tilapia because they are hardy and their reproductive rate is high - are raised in tanks and fed high quality organic food. 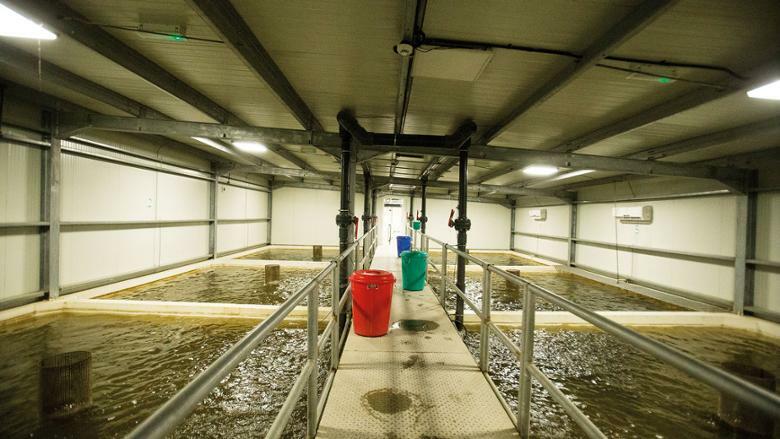 The water with the fish waste goes into filtration tanks where the waste breaks down and releases nutrients for plant growth. 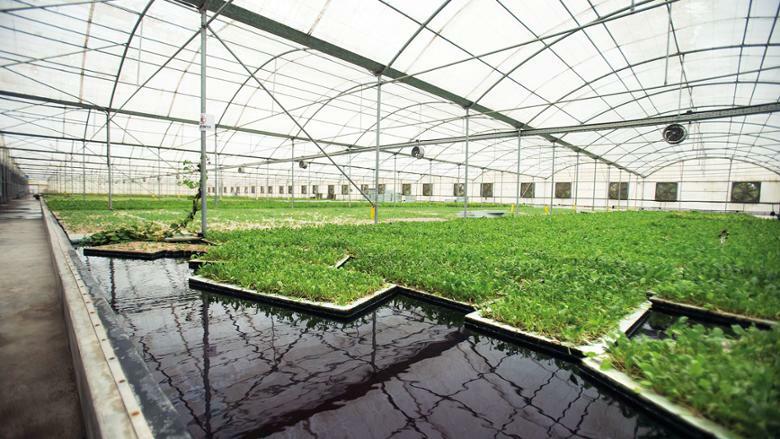 After filtration, the water is pumped into the tank where kale, spinach and mustard plants are grown in cups on thermocol boards with their roots dangling in the water. Although the process may appear simple, Jacek says that it is very important to constantly monitor the nutrient levels in the water and ensure that the biomass (the weight) of the fish and plant population is balanced. ‘If the nutrient level in the water is too high, it could kill the plants; if it falls below a certain level, the crop would not be a healthy one,’ he says. 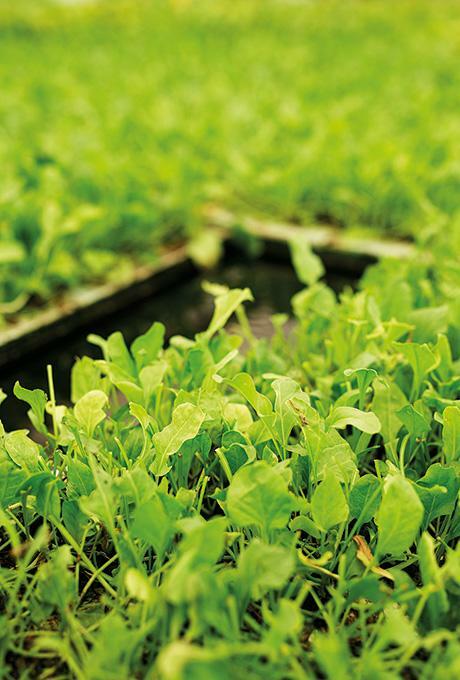 While the largest crop raised in the farm is kale, baby spinach, baby mustard, basil and roca are also grown here. Crops are harvested in eight to 10 weeks. ‘The number of harvests in summer is less than those in winter,’ says Madan, explaining that the cooler clime aids kale growth. 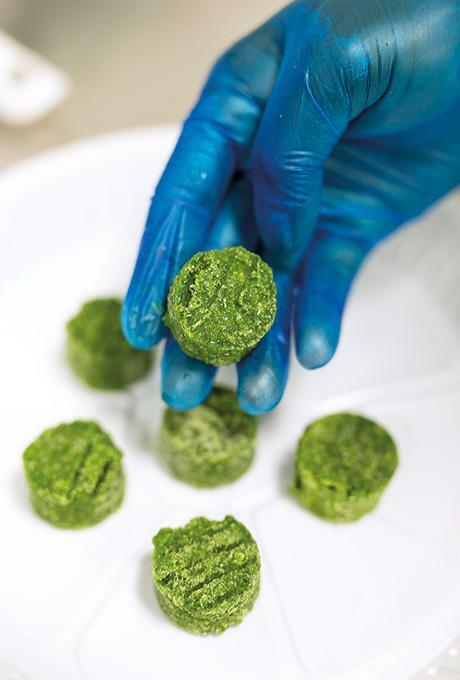 Once hand harvested, the kale is rushed to the company’s warehouse where it is processed and flash frozen within 12 hours into smaller portions that have a shelf life of a year. The portions can be added to shakes and salads. Jacek is convinced kale could help address conditions such as diabetes and obesity which is assuming alarming proportions in the region. Also read: Why is avocado such a big deal these days? An assistant enters the room carrying a tray with a platters of juicy burgers. ‘Try these kale chicken burgers,’ he offers. I sink my teeth into one and I’m pleasantly surprised by the taste. It’s quite like a regular burger with the kale taste barely noticeable. Listening to the nutritional values makes me reach out to have another. With obesity and diabetes rates rising across the world due to the overindulgence of fast food, this product could be just the food to sink our teeth into. Make a kale salad and dip today.